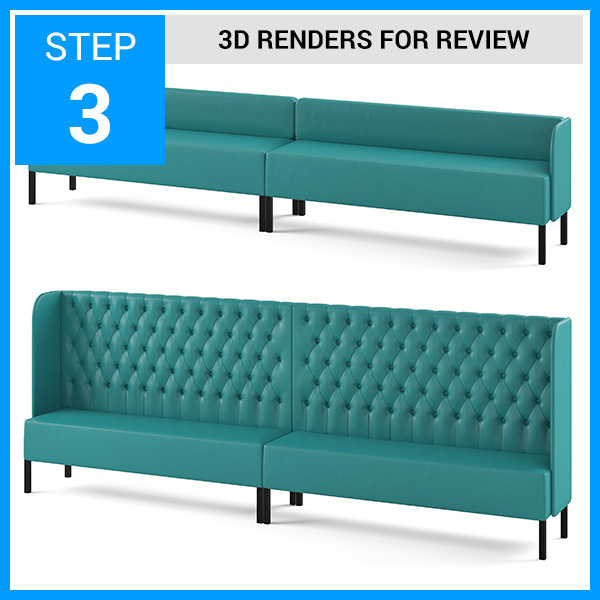 HERE IS A QUICK STEP BY STEP GUIDE. WORRY NO MORE - COUNT ON US! Our highly skilled craftsmen begin to work on this project. It begins with frame building of solid wood, followed up by Legget springs, CAL 117 foam and resilient (up to 500,000) double rated vinyl. We manufacture our products to exceed all industry standards to create a superb product that we can proudly say is handcrafted in USA by ModernLineFurniture® in New Jersey. The items are covered and immaculately shrink wrapped for protection and loaded on a pallet. Pallet is then picked up by the freight carrier to customer's destination. We contact the customer and proceed to make all the necessary delivery arrangement based on customer's availability to accept shipment. 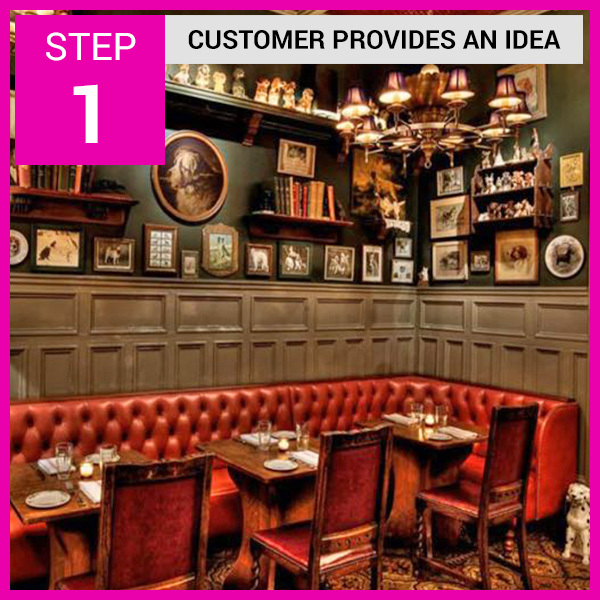 Customer receives the delivery and sets up the designated seating space. The furniture fits like a glove and creates a gorgeous seating area - all while being space efficient and ready for daily large crowds. Customer may leave reviews on his or her favorite rating site such as Google. We will highly appreciate it. 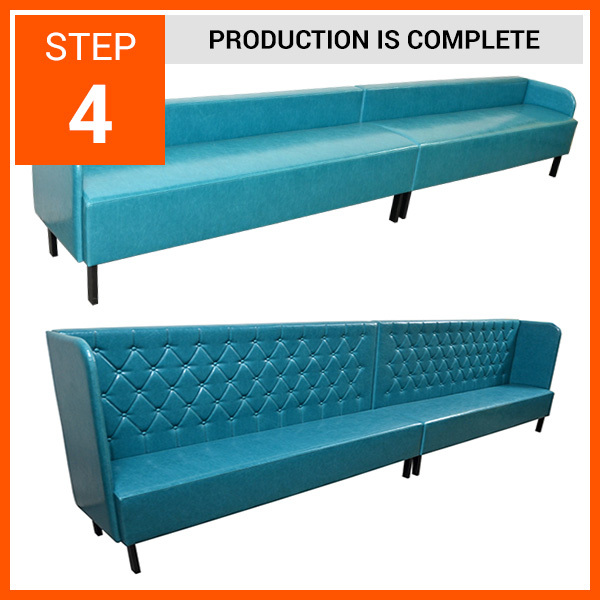 Modern Line Furniture® is a custom Hospitality Furniture Manufacturer in Linden, New Jersey. 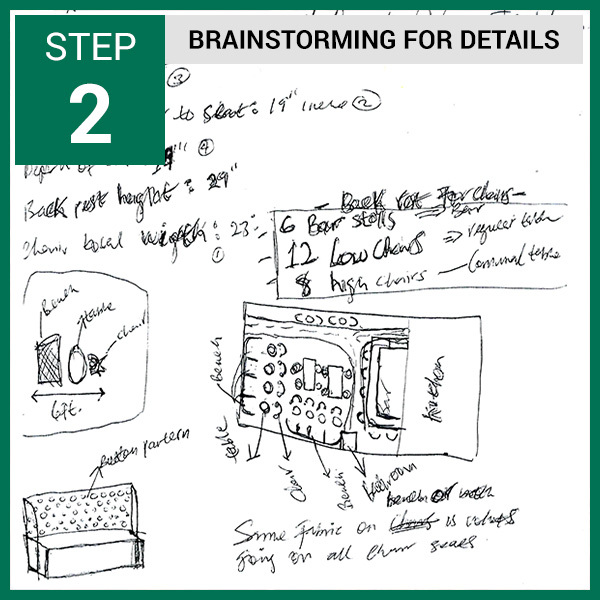 Bring your ideas, sketches, floor plans to us, and we will build any furniture specifically for your space. All work is done on premises in NJ, and we deliver nationwide.